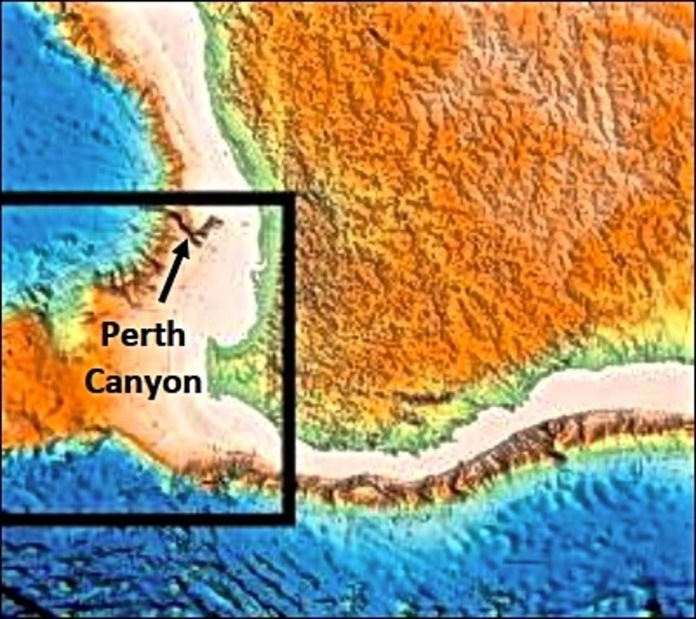 Perth Canyon is one of Australia’s subsea treasures, and as such is a proposed national reserve. 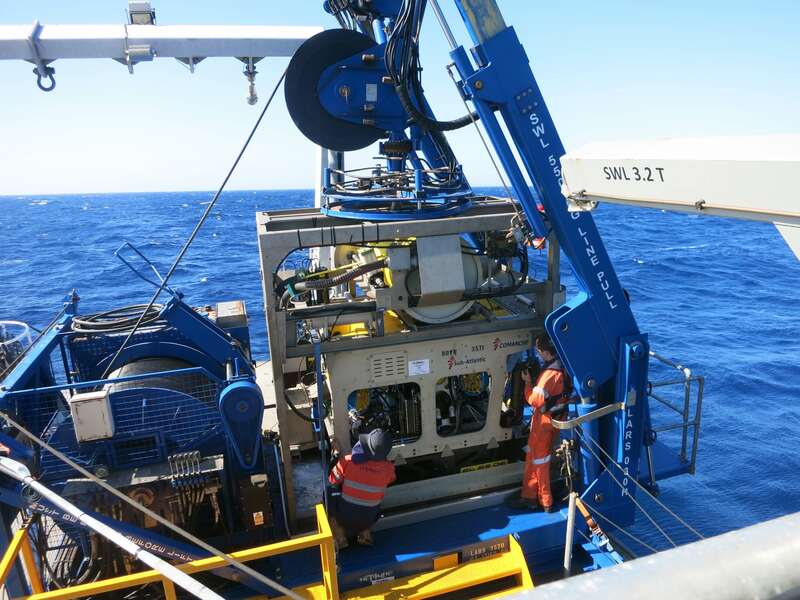 Yet, despite being just 50 kilometers or so from Western Australia’s capital of Perth, the canyon’s deeper reaches remained poorly known and largely unexplored until 2015, when Schmidt Ocean Institute sent Falkor to the region, along with a deep-diving remotely operated vehicle. Such technology is rarely available in Australia, except for commercial oil and gas work. Australian researchers got their first chance to survey life in the canyon and to conduct baseline studies of deep corals to aid in determining the likely future impacts of a warming sea and ocean acidification. 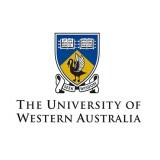 Collaborator Malcolm McCulloch, from the University of Western Australia (UWA), led the expedition, March 1-12. 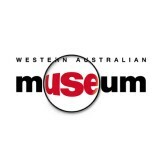 Other team members came from the UWA, the Western Australian Museum, theCommonwealth Scientific and Industrial Research Organisation (CSIRO), and the Institute of Marine Sciences in Italy. Perth Canyon cuts deeply into Australia’s continental slope, beginning about 60 kilometers west of the city of Perth. Roughly 15 kilometers wide, its depths range from 200 to 4,500 meters. Researchers already suspected that the canyon is a productive area from the large congregations of pygmy whales, blue whales, and sharks that migrate there seasonally to feed. However, little was known about what was found in the canyon because Australia has no research submersibles or remotely operated vehicles. Other countries that do have them have only rarely visited Australia’s waters with such resources. 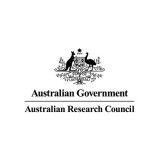 While industry has done much work focused on exploiting oil and gas resources, deep-sea exploration and research has been extremely rare in Australian waters and anywhere in the Indian Ocean. What we did know about the canyon stems mainly from limited work collecting dredged samples, and inferring what might be there based on other studies in the region. A primary goal for the mission was to run ROV surveys at various depths to assess what animals might be found, their abundance, and the best sites for more focused research. The researchers expected to find a range of species including corals, sponges, sea fans, sea pens, urchins, sea stars, and large fish including sharks. While researchers had ideas of what they would see, having never actually explored the canyon there was no telling what they might find. Species new to science are always a possibility, especially during deeper dives. The team planed to collect samples to help them achieve two key goals for research on the deep corals living in the canyon. Both relate to the effects of warming and ocean acidification. When carbon dioxide in the atmosphere enters the ocean, it acts as a weak acid that lowers seawater pH, or acidity. As carbon dioxide levels in the atmosphere continue to increase, so does ocean acidification. The effects that originate in surface waters are eventually felt at all depths as acidified and warmed waters make their way down due to wind-driven mixing and currents. One of the cruise goals was to collect samples of deepwater corals to analyze as archives of past ocean conditions. Because many deep corals live for hundreds or even thousands of years, changes in their stony carbonate skeletons act as archives, recording changes in ocean temperature and chemistry over long periods of time. To access that archive, the team analyzed the concentrations and isotope ratios of various elements, focusing mainly on boron. Isotopes are atoms of the same element that have differing numbers of neutrons. The ratio of boron’s two naturally occurring isotopes in the coral skeleton is directly proportional to the seawater pH at the time a given layer of the skeleton formed. 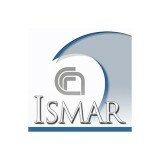 Various other element concentrations can similarly be used as proxies for seawater temperature. The team combined information from these proxies with radioactive dating data to reveal a long-term history of environmental change in the canyon. This work offered a centuries-long record of conditions, including the past several decades, as rapid changes have been occurring in shallow waters. This is of particular interest because the team wanted to assess the extent that climate change and ocean acidification is affecting the canyon’s waters at different depths, so they can determine likely impact on these ecosystems in the future. The second goal tied to acidification was to analyze water samples to gather data about the current chemistry of canyon waters, and to collect samples for additional boron isotope analyses that will offer clues as to how different species can adapt to changing conditions. This part of the work focused on mapping changes in what’s known as the carbonate saturation horizon. The carbonate saturation horizon is the depth below which calcium carbonate is undersaturated—meaning calcium carbonate is generally dissolving and not available for use by animals. That is critical, because corals and other calcifiers need calcium carbonate in order to build their skeletons. Above that depth, there is saturation, which means that calcium carbonate is available for processes like coral construction. The main factor controlling whether calcium carbonate dissolves is pH. So, one concern is that continued ocean acidification may cause the carbonate saturation horizon to get shallower, referred to as shoaling. This could expose many calcifiers to more caustic waters and reduce the areas in which they can form their skeletons. Deep-sea animals already face related challenges because the colder temperatures and higher pressures of deeper waters also make it more difficult for coral and other calcifiers to build their mineral skeletons. Some corals can’t form skeleton below the carbonate saturation horizon, while others have the capacity to alter the chemistry of water beneath their tissues, increasing the pH so that they can extract the calcium carbonate they need. It is not yet clear exactly how the animals perform this feat, known as upregulation, or how many deep coral species accomplish it. If corals that can’t upregulate find themselves below the horizon they risk being lost from such deep-sea habitats. The ones that can upregulate might survive future declines in seawater pH, but the amount of acidification they can overcome is likely still limited, meaning at some future point they too would be in danger. To gain a better understanding of upregulation, the species that can do it, and to what extent they can acclimate, the team again turned to boron isotopes. Because of its dependence on seawater pH, the isotope signature of the skeletons of animals that upregulate will suggest a higher pH than that of the surrounding water, and the size of that difference will be an indicator of upregulation capacity. By understanding current conditions and the degree to which coral species in the Perth Canyon are able to adapt, the team will be better able to answer the larger question of how animals that depend on calcification are likely to be affected under future climate change scenarios. These other calcifiers include animals such as mussels and crabs that use calcium carbonate to build their shells. During this Falkor expedition the team established key reference sites in the canyon that they can return to in coming years to track changing conditions. Besides giving researchers the chance to better understand Perth Canyon, the work should also help improve understanding of the likely threats to other deep ecosystems in the region. A map showning the location of Perth Canyon relative to southwest Australia. 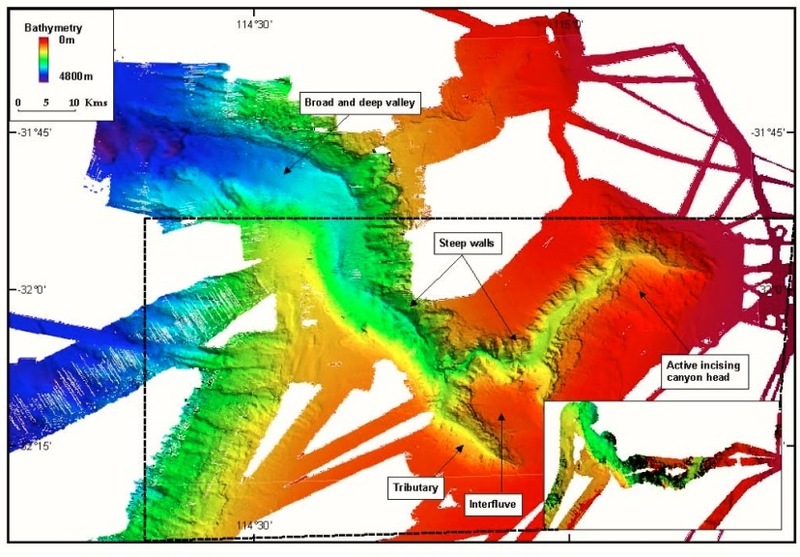 A map of Perth Canyon's bathymetry. 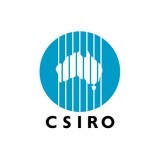 Seaglider Plots and Data, Slocum Plots and Data, and Water Chemistry Data are archived with the Australian Ocean Data Network Portal. Acoustic Backscatter, Swath Bathymetry, and Navigation data from Falkor and CTD, and Oxygen data from ROV Comanche are available through Marine Geoscience Data System.